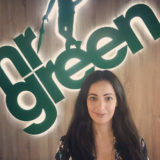 Continuing my series of Interviews with people in key positions in the iGaming industry I met up with Jacqui Gatt, who’s just taken on a new role as Head of Live Casino at Mr Green. I first met Jacqui when she was Head of Live Casino Operations at Leo Vegas. 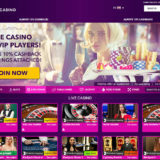 We chatted regularly about the development of live casino and especially about the player experience. In Jacqui’s first interview since her move she explains her work experience and an insight into her plans for Live Casino at Mr Green. Can you give my readers a little bit of background about yourself? I’ve just joined Mr Green as Head of Live Casino this month. Prior to this I was Head of Live Casino Operations at LeoVegas. I have previously worked in the CRM department for Betsafe and Bally Technologies. My passion for live casino goes a long way – I started my career as a live casino dealer at the Dragonara Casino in Malta 14 years ago. Apart from that, I do enjoy playing live casino games myself! Can you tell me something about your achievements at Leo Vegas and what you were most proud of? LeoVegas launched their live casino vertical less than two years ago and it rapidly grew into a multi award winning live casino. One of my biggest achievement was successfully launching new dedicated concept tables & environments, not to mention the positive feedback and recognition received from suppliers and players alike. Can you describe your new role at Mr Green? I am super excited about my new role! Mr Green offer live games from four market leading live casino suppliers and my role will allow me to oversee operations across providers whilst continuing to grow our three dedicated environments from Evolution Gaming (Riga & Malta), and our recent release of the fully immersive ‘Live Beyond Live’ 3D environment from Netent Live. On the in-house product front, I’ll be working closely with a great team of developers and focusing on enhancing our product, keeping the player experience at the forefront of everything we do. Keep a close eye on us – Mr Green is one to watch for live casino innovation and development in 2018! Do you need any land based experience to be able to do your job? I believe so. Having land based casino experience allows me to truly understand live casino players, their requirements and desired experience. Seeing new innovations and concepts, both in terms of in-house product and from suppliers, such as Dream Catcher from Evolution Gaming, HD quality land based streams from Authentic Gaming and the Mr Green Live Beyond Live environment from Netent Live. It’s been motivating to see live casino evolving rapidly during the past couple of years and I’m excited to be part of what’s around the corner. Mostly, I love working with like-minded, passionate people who bring new ideas to life! What do you look for when you’re selecting a live casino supplier? Excellent product quality, unique features and a shared passion to take things a step further. What live games are the most popular with players? Popular games vary heavily on demographics and knowledge of live games. Blackjack seems to be the game of choice for younger players, Baccarat in Asian markets and so on. 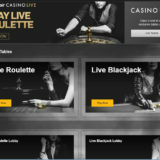 In general, Roulette is the most popular live game. What sort of growth have you seen over the past 12 months with people playing live casino games? More players who are completely new to live casino are trying out table games more than ever before. 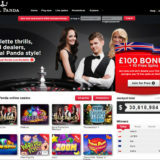 I put this down to two main factors – the enhanced stream and product quality on mobile and operators giving more prominence to live casino games. Is there a lot of player cross over between the different casino verticals? i.e. will slot players become live casino players and visa a versa? Players from slots and sportsbook segments will not necessarily ‘become’ live casino players, but a significant number of players do play across verticals. Sportsbook punters are more inclined to play live casino games, and vice versa. Mr Green offers all three products, which allows our customers to enjoy a seamless gaming experience across all verticals. What devices are mostly used by Live Casino players. Is one more popular than another? Are there any trends you’re seeing? Similar to slots and sportsbook trends, the most popular device of choice for live casino players is mobile. What are your objectives for live casino at Mr Green for 2018? My objective is to deliver a superior gaming experience to our players. Excitement, ease of access, and most importantly for our players to enjoy every minute of their time spent playing at Mr Green! What are your greatest challenges for 2018? The greatest challenge will be to remain one step ahead of the game. Things are moving at a fast pace in the live casino industry and a number of operators are making moves in the right direction. Being at the right place, at the right time is a big plus – I believe that the Mr Green brand has a great combination of workforce, reputation and vision behind it to really make a difference. How do you protect yourself from player fraud, card counters etc. We have a relationship with all our gaming providers, whereby any suspicions of card counting are flagged to us for review and investigation. In terms of player fraud, we have internal monitoring tools setup that flag any suspicions of fraudulent behaviour, whereby this is then reviewed internally by our Fraud department. If you could see any new innovations in Live Casino what would it be? On an industry level I believe we’ll see not only more localized, but also more personalized concepts being introduced. New game variations and more social elements within live casino games, as well as new in game features which will allow the player to have more control over the speed of the game and accessibility. How seriously do you take responsible gaming? Mr Green has recently launched the unique and multi award winning Green Gaming Predictive Tool – we feel that we have a responsibility beyond offering our players a top of class product. We want our players to fully enjoy their gaming experience at Mr Green, whilst ensuring that they play within their limits. Do you enjoy playing table games? and do you have a favourite? Yes! I mostly like playing roulette, but also enjoy a game of blackjack at an action packed table – as long as I get the last seat! Do you have any betting strategies that you use? Not on roulette – I’m a ‘lucky numbers’ type of player. On blackjack I follow perfect strategy. I recently tried to deal on a live roulette table with some funny results. Have you ever tried to deal a live game in front of the cameras? Ha Ha, fortunately no video exists of me dealing roulette, but there is a video of me trying my hand at Blackjack. What a great interview! Many thanks Jacqui and best of luck in your new role. I’m very much looking forward to seeing how Mr Green develop over the next year.